Protecting public health and the environment is Capital Region Water’s top priority. Alerts allows Capital Region Water to notify you directly about Boil Water Advisories and other important messages related to your water service. The information you provide is protected and will not be used for any other purpose. Sign up here to receive alerts and update your contact information. When we issue a notification about a potential water concern, you will receive a message on your phone. Once you receive the notification, you can confirm that you have received the message and you will not be contacted by any subsequent methods regarding that particular notification. Emergency Alerts – Everyone with correct contact information in Capital Region Water’s customer database and / or signed up for Alerts will receive notifications regarding water or sewer emergencies. 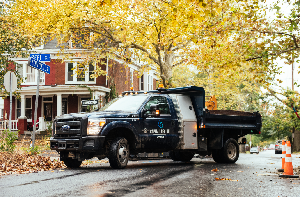 Service Alerts – Subscribe to Service Alerts to receive non-emergency alerts about construction and maintenance projects such as hydrant flushing that may cause inconveniences. News and Event Alerts – Subscribe to News and Event Alerts to receive alerts about service updates, new initiatives, and public events and meetings near you.